I LOVE this Rebecca!! 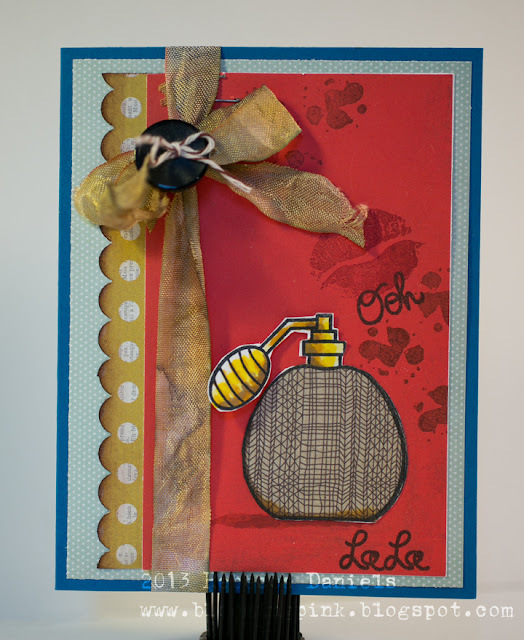 GREAT use of the stamps and ribbon! Such a fun project!! Love your take on this photo! Beautiful colors and the perfume bottle and those lips...CUTE! Love this card! You rocked it for sure! Those lips, that perfume bottle -- I love the mesh-like pattern in that bottle. And of course, the ribbon and the border beside it. Fantastic, my friend. Love the lips and perfume bottle.. This is seriously very beautiful card.. Cute girlie card! Love the ribbon accent! TFS God bless! !